Two Boston University alumni and a current BU professor were three out of the five $10,000 grants for the city’s inaugural Artist Fellowship Awards, awarded by the Mayor’s Office of Arts and Culture and the Boston Cultural Council. 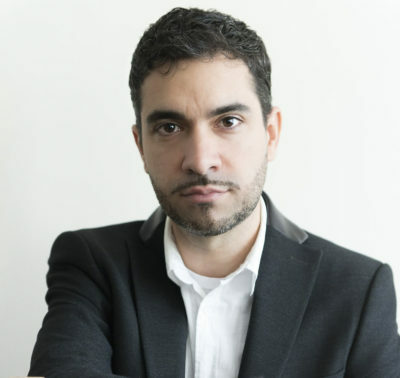 One of the winners, Dariel Suarez, a 2012 graduate of the Graduate School of Arts and Sciences, received the award for his fictional writings about his homeland of Cuba. Suarez said the award would allow him to dedicate more time to his writing and help him to continue working on his second book. “It’s hard for any writer who has a full time job to find the time to focus on his writing, and this money will allow me to do just that,” Suarez said. Marilyn Arsem, a 1973 graduate of the College of Fine Arts, won a grant for her work as a performance artist. She said she was thrilled to receive this grant because she was not entirely expecting it. “There are a lot of artists in Boston and since it was the first time that they had awarded the fellowship, you never know how they’re going to make their decision and what criteria gets used with the review panel,” Arsem said. 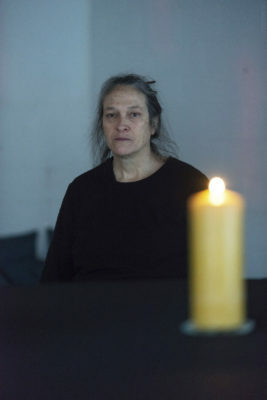 Arsem, who has been working in performance art since 1975, said the grant would allow her to create more unique art in the future. “It gives me a cushion to take some risks in my work,” Arsem said. The third BU community member to receive the grant was Mary Jane Doherty, a College of Communication professor of film, who, according to her BU profile, primarily works in narrative documentary filmmaking. Rafael Quintero, a freshman in the College of Arts and Sciences, said he thinks the fact that three of the five award winners were BU community members reflects positively on BU’s arts programs. Julie Burros, the chief of arts and culture for the City of Boston, wrote in an email that the Artist Fellowship Awards were created to invest in Boston artists and support their contributions to the community. “The goal is to help them advance their careers and allow them to continue doing great work in Boston,” Burros wrote. The first five award-winners, all specializing in different artistic disciplines, were announced in October. Over 300 applications were reviewed by a panel of jurors made up of local arts leaders and members of the Boston Cultural Council. Burros wrote that they were looking for artists who were doing exceptional work at an advanced level. “We also focused on those who we believed would both benefit personally from this award as well as contribute something very positive and impactful to the City through their work,” Burros wrote. Samira Anant, a freshman in the Questrom School of Business, said she thinks BU does a good job of encouraging students in all colleges to practice the arts. The idea for the fellowship first came about during the planning process for the Boston Creates cultural plan, which was established in June of 2016, Burros wrote. The planning process consisted of a series of community-driven conversations about what Boston’s arts and culture sector needed in order to thrive. COM sophomore Yifan Liu said she thinks the Artist Fellowship Awards are a good way to encourage aspiring local artists. Burros said reactions to the awards have been positive, and the Boston Cultural Council looks forward to continuing the program in the future.